While Mitsukoshi is recognized as a historic department store, the Mitsukoshi Nihonbashi Main Store ventured forth to tackle the current issue of “Reforming Customer Service.” Using the established annual spring event, “Hanabanasai” (meaning “Festival of Flowers”), as a launch point, the Nihonbashi store carried out a trial project with Loftwork Inc. to redesign customers’ experiences. We once again brought together the project members, who said they continue to use their experiences and the results of “Hanabanasai”, to hear their stories about the project. ──How did this project come to be? Ota (Isetan Mitsukoshi Ltd.)　Being unable to get people to go to stores other than the specific ones they intended to go to within the Mitsukoshi building has long been a thorn in department stores’ sides. 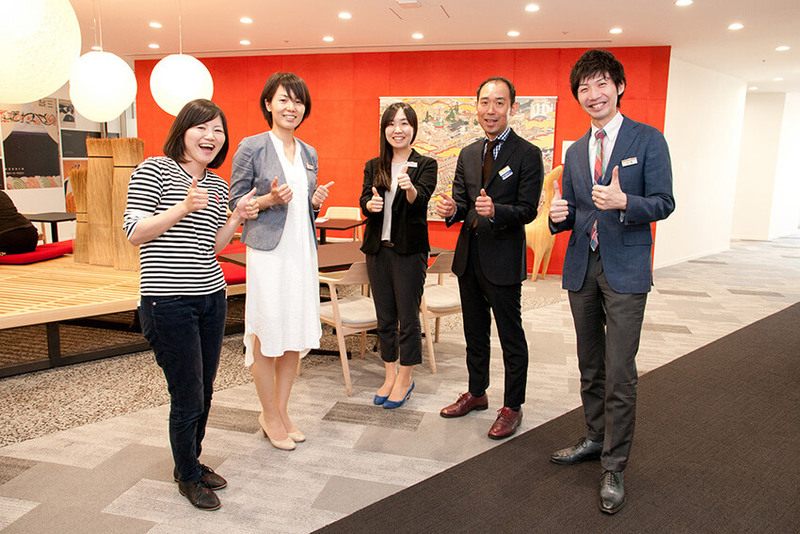 When we were planning for the annual spring marketing campaign, “Hanabanasai,” we asked if anyone had any new ideas for “designing an experience,” a point of view which lately comes up often even within the company. In the past, we have had stamp rallies for the sake of creating an experience, but that was, as the name states, nothing but going around getting stamps on a piece of paper. Ultimately, that did not really lead to communication between vendors and customers. 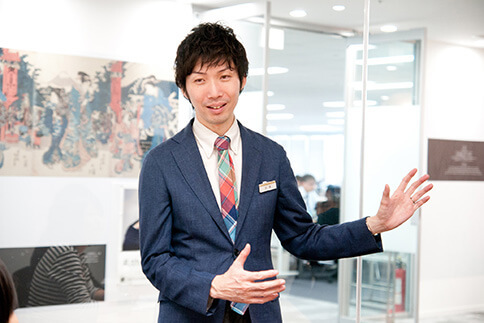 Shinjo (Isetan Mitsukoshi Ltd.)　Up until now, we had narrowed down the customer base we wanted to have based on market area and age, but now we’re incorporating tribal marketing, which uses the things people like as the basis for targeting customers. 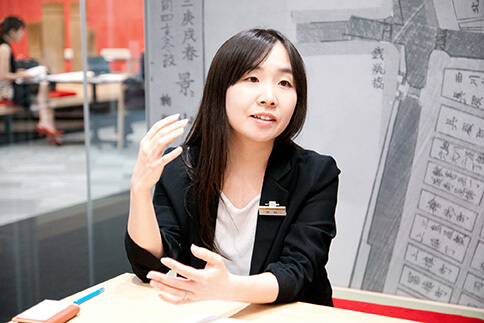 With this way of thinking, the concept of a market area disappears, making it possible to have people coming from all over Japan, and from all over the world. Kato (Isetan Mitsukoshi Ltd.)　When we discussed attracting tribes (groups of people who are connected through mutual interest in a particular thing), Loftwork Inc. proposed this riddle game project. Their solution aligned with our way of thinking of wanting to go beyond market areas by appealing to customers who like X or Y, and because people in their 20s through 40s, who do not often go to department stores, would be targeted, we wondered, if such people went to a department store, what would they think of it? Would they show interest? We were particularly curious about these aspects, and wanted data on them. Ota　However, we were also worried that this would turn out exactly like the stamp rallies. Would people just solve the riddles then go home? Would it really be able to create communication at the stores? ──So, what steps did you take to ensure there would be real communication? Koshimoto (Loftwork Inc.)　The premise of this project was “Thinking from the customers’ point of view,” so we thought of ways people could communicate while enjoying the exchange. This time, solving the riddles involved more than just going to each store, because you could not get the hint cards without actually communicating with the store clerks. 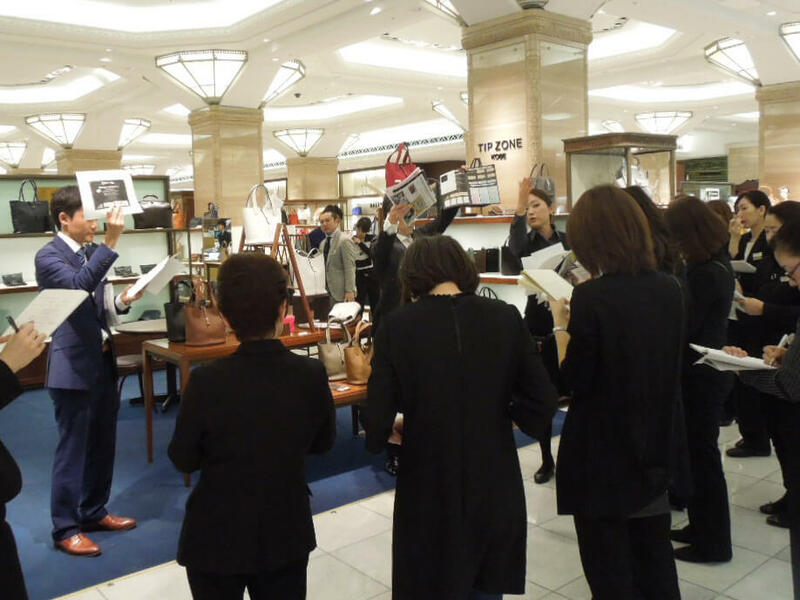 This way, customers were able to experience Mitsukoshi’s customer service as part of a game. Also, we cooperated with a riddle expert who gave us advice such as “You should give the hints like this,” then Loftwork created a hint manual, and got together with Mitsukoshi’s people to plan how it would actually be used. Kato　It would have been difficult to get every one of the nearly 5000 salespeople who work in the stores to fully understand the aim and execution of this plan, so we started by first sharing the project with the sales department, which the sales staff is a part of. We brainstormed together about everything, including the flow, devising various strategies and incorporating them, which I think led to our success. On-site staff training. The manual was developed not to be a mere operation manual, but as a manual to enjoy the event with customers. Ota　Executing this was more complex than the stamp rallies of the past where we just had customers doing things, but the staff was highly motivated. At first they would explain things dryly like the manual, but once they experienced how it actually worked, this passion came into their explanations. They would say to customers, “This is really fun, you know!” Plus, before they would go home for the day, they would tell us, “That was great!” or “A customer said something nice to me.” I felt like people who choose to work in department stores more or less want to enjoy communicating with customers. ──In other words, being able to hear customers’ true opinions while interacting with them raised the staff’s motivation. How were things on the creative side? Koshimoto　There were many things that needed to be made, so it was a mountain of work. Explanation panels, hint cards, signboards for each shop……if we were late just one day, we wouldn’t have made it in time to have it all printed. Ota　But everything that was made was of high quality. Even though so much information was packed into such a small medium, it was easy to understand, and the panels’ sense of unity also made them high quality. This is an important point. The panels that were displayed at each point within the stores and at specially set up sites, and the hint cards that were distributed to participants. Koshimoto　Rather than jumping into production all at once, first, we created design guidelines. For example, using this lion, or adding this type of text box. Just doing these things first ultimately made the other work we had to do progress more efficiently. Also, the designer we brought on for this had experience with riddles, so he made his designs with an understanding of the atmosphere we wanted to create. I think this way, even the riddle loving tribe could feel perfectly at home in this game. ──How did customers who participated actually react to the game? Tweets from customers who participated saying things like “It was fun!” and “I recommend it!” were trending, and perhaps for the first time, this led to some completely new customers coming to the store. Besides the riddle game, it was also surprising to see the countless favorable comments about people’s conversations with the sales staff, and their customer service experiences. Ota　Another thing we were worried about besides communication was whether or not people who like riddles would accept our customer service. It was actually received better than we anticipated, with people saying such wonderful things as “I didn’t know there were such skilled people at a department store!” The staff and everyone involved was genuinely happy. Shinjo　Up until now, we mostly relied on outside speakers for our events, but this event made me realize anew that the knowledge and everyday practices of our sales staff has this much value. ──What kind of results were you able to obtain through this project? 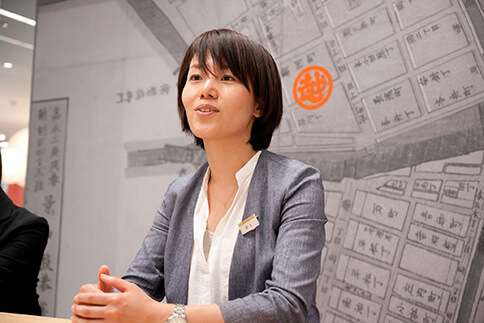 Asahi (Isetan Mitsukoshi Ltd.)　We weren’t thinking about connecting this particular project to our sales; the main thing was creating a new customer base. With this riddle game project, we were able to get people in their 20s and 30s, a new segment for us, as well as couples and other types of customers who previously would not stop at our storefront. This fulfilled one of our aims. I think a major point was realizing that if we work hard to come up with various things, we can create opportunities for people to come to our stores. Also, I think the fact that people who came for the riddles were satisfied with their interactions with the sales staff will turn this into an opportunity for first time customers to become a part of our regular clientele. If people think, “That was so much fun that I’ll go back if they do something else,” then I think we greatly succeeded on this point. Shinjo　It was also good that we were able to have Ms. Koshimoto be the first to go through the game on the first day, so she gave us feedback about what was not good. Thanks to that, we were immediately able to make revisions. Koshimoto　Since we weren’t able to have a test play in advance it ended up happening after the event had actually started, but there were many things that we realized for the first time by going through it. Asahi　Being able to make revisions on a day-to-day basis was what most allowed us to level up. We observed the trends on the first day, and were able to develop the habit of sharing the good and bad points while advancing to the next step. As a policy we keep in mind going through the PDCA cycle, but we do not really do it much when it comes to customer service. It was really good to be made aware of that, so we were able to go back to it as a starting point. ──What kind of things do you want to tackle in the future? Asahi　We haven’t decided on a time period nor frequency yet, but we would like to do this type of thing on a regular basis. I hope that from now on we can continue to get advice on creating new target customers, calling out new tribes while discovering the value of department stores. The ideas are limited when there are only department store people trying to come up with them, but I think by having a third party come in with their perspective we can come up with a plan that excites us. 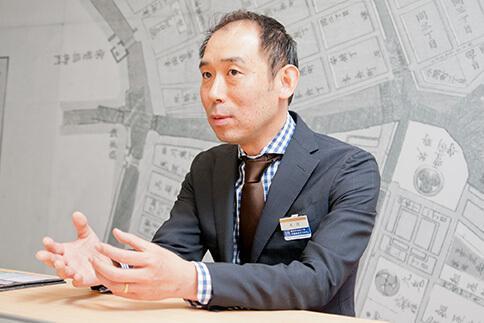 Shinjo　On the one hand we gained an awareness of how to communicate with customers, but on the other, we think that the next step is to improve communication between employees. I think if our communication does not change, then we cannot have good communication with customers. So I think it would be good if we could design something to that end together with Loftwork Inc.